Mira Soni joined our team as our Programs Intern in February 2019. Get to know more about her! In what neighborhood do you live? How did you first become connected to The LP, or hear about The LP? I heard about the LP through my university’s career education office. What attracted you to The LP? How does working here relate to your professional goals? I wanted to intern at The LP because of its commitment to community-centered creative projects and the diverse forms in which such projects can manifest. While my professional goals are currently pretty nebulous, I think I have a lot to learn from the passionate and innovative staff of the LP and the communities and artists they collaborate with. Can you tell us about an artist or project that has inspired you? After visiting the Louis Armstrong House in Queens last month, I’ve been listening almost exclusively to his music– I love how clearly and simply he communicates his love for the world around him. What is your favorite… film? …album? …food? Favorite film is Moonstruck, favorite album right now is Scenery by Emily King, favorite food is a fresh apple. The glamorous basement of my dorm. In your opinion, why does art matter? I think art matters because it teaches us how to take care of each other–how to watch, how to listen, and how to love. What LP value do you most relate to and why? The LP value I relate to the most is “be propelled by love.” I think it’s something that is essential to any and all kinds of work, be it personal, academic, professional, or political. 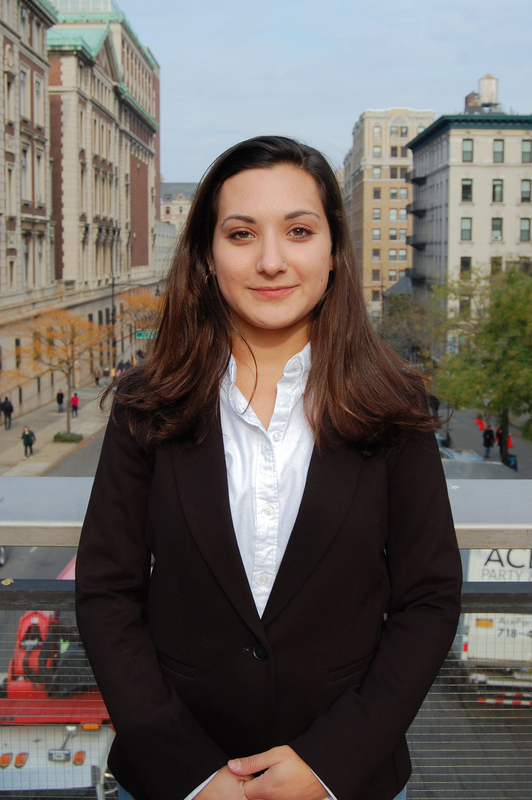 Mira is a sophomore at Columbia University majoring in American Studies and Gender Studies. Originally from Arlington, VA, her involvement in the arts began with ballet and theater when she was young and has now morphed into an interest in arts administration, curation, and programming. When she’s not in class or at the LP, you can find her going on runs in Riverside Park, Facetiming her English Bulldog, and singing with her a capella group, the Columbia Clefhangers.